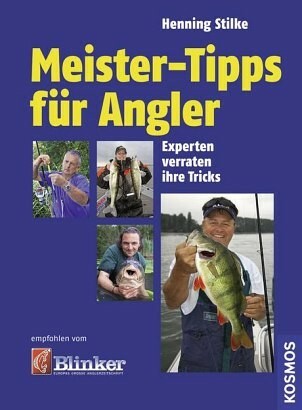 Product information "Meister-Tipps für Angler"
Every fisherman finds a tip in this book. Whether you are interested in line fishing for whitefish or more in giant catfish, whether you are after pike or trout, approaches and tricks for all types of fishing and angling can be found in this book. These hints originated with world and country champions, among others. As editor-in-chief of the larges European angling magazine, BLINKER, Dr. Henning Stilke has already fished with all champion anglers. He now imparts to his readers the knowledge he gained in doing so.